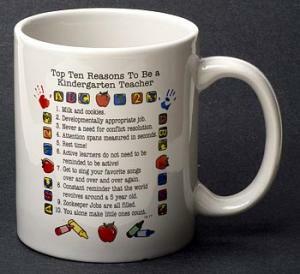 Our humorous Top Ten Kindergarten Teacher mug is a great gift for any kindergarten teacher. 10 oz. ceramic dishwasher safe mug. Gift box included.